Some trips lend themselves so well to accessorising. When we found out we were going to Disneyland Paris, I really felt the need to have some fun with the clothes and the bags we were taking with us. If you’ve read about our trip to the 25th Anniversary already, you’ll know that my daughters didn’t know they were going to be visiting Disneyland Paris until the morning that they went. That was one hell of a secret to keep I can tell you! 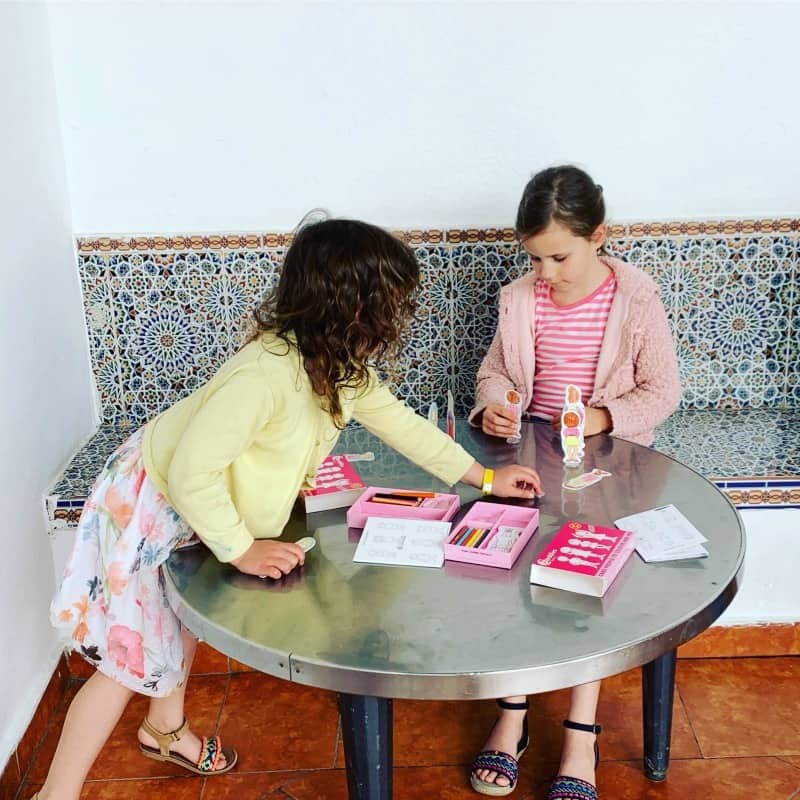 For every trip, the girls have their own backpack, filled with pens, notepads, a toy, snacks and some more practical things like wipes and a spare change of clothes. Having their own bag is great for giving them some independence while travelling and helps make the most of that baggage allowance. Before buying these, I checked out backpack reviews and tips on how to find the best backpack on sites like Backpacks.Global. They really helped me out! 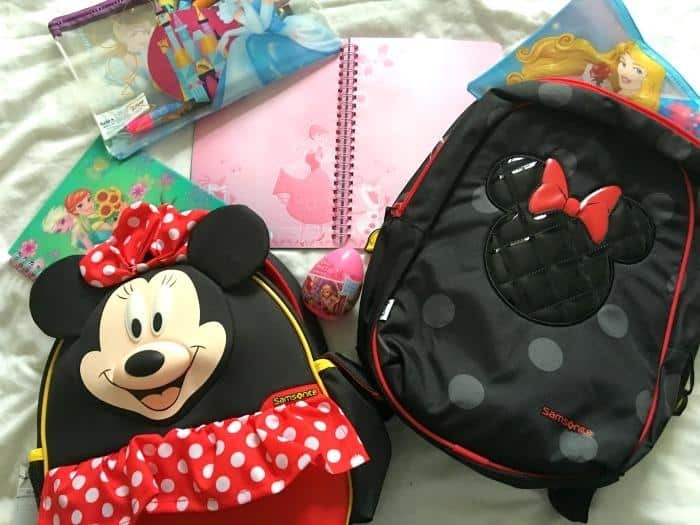 When their gorgeous new Minnie Mouse backpacks from Samsonite arrived I decided to stick with the Disney theme and pack the bags with Princess themed goodies for the trip. I have to admit I really enjoyed that shopping trip! 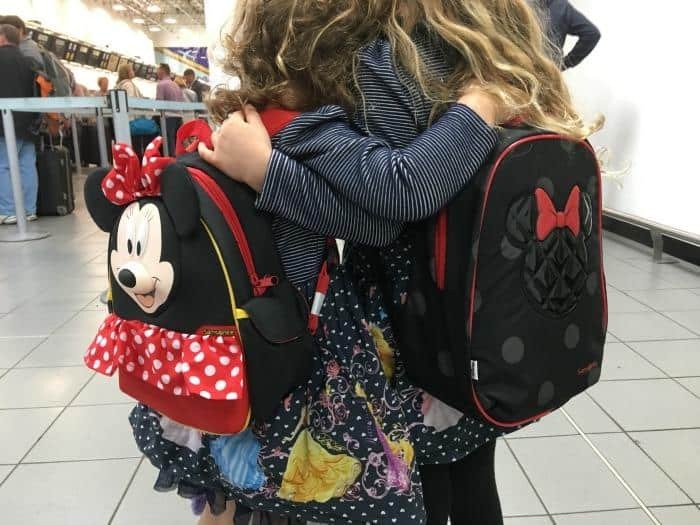 We received two Minnie Mouse rucksacks from Samsonite, and they are both brilliant. My 5 year old really took to her Disney Ultimate Minnie Mouse Iconic backpack from the moment she saw it. As soon as it came back from Disneyland Paris is was graduated to new school bag status as well because she loves wearing it so much. The style is a little more grown up with the Minnie Mouse patent design pattern on the face of it. She has started to talk about things being ‘babyish’, so this design worked well for her. The other thing I noticed was it was clearly very comfortable for her to wear. She was happy to wear it throughout the trip and the design of the padded shoulder straps and the sternum clip that helped keep them fixed securely on her shoulders made a big difference to her. The details on the bag are super cute too. The zips are finished with a pair of Minnie Mouse’s iconic yellow shoes, and red and polka dots also feature but in a more grown up design. My 3 year old daughter got to travel with a very different Minnie Mouse rucksack, which she loved just as much. The Disney Ultimate Minnie Classic is a fun and cute design which lends itself really well to the younger travelling child. This backpack features Minnie Mouse’s face with great details using the ears and red polka dot bow. We also loved the frill detail which really helped to personify the bag for our younger daughter. The Minnie Mouse Classic rucksack also features side pockets, ideal for drinks and other items, and an internal ID tag. The shoulder straps are fully adjustable, padded and clip together making it so much easier and comfortable for a child to wear. The bag also features reflective strips which is helpful when travelling with a child in busy areas and crossing roads. Overall we love our Minnie Mouse Backpacks from Samsonite. They are incredibly well made, have lots of child friendly travel features and are really fun too. If you are visiting any Disney themed park this summer I think these backpacks will be a welcome addition to your trip. For more Disney Minnie Mouse luggage ideas click here. 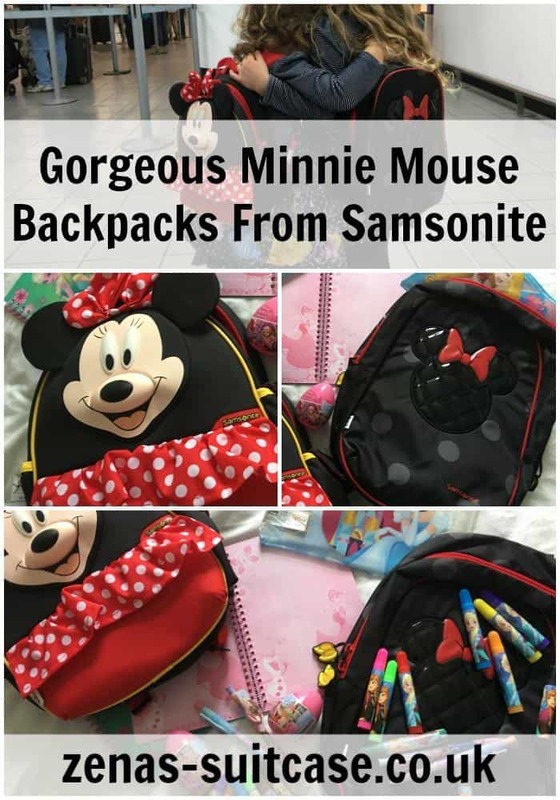 We were provided with the Minnie Mouse Backpacks From Samsonite for the purposes of this review, but all thoughts and opinions are our own. those are awesome! I loved Minnie Mouse when I was a little girl! They’re perfect for a trip to Disneyland! Is it bad that I want one for when we go? Oh these are cute I loved Minnie mouse as a child. That Minnie mouse backpack is too cute, my daughter would love that! These backpacks are gorgeous. I wish I was thirty years younger ! Musings of a tired mummy…zzz… recently posted…For Dad and Chris: Happy Father’s Day! These bags are so cute perfect for little girls. I love the backpacks. My daughter would want them. So cute! Awww these are adorable – perfect for a trip to Disney!! We love Disney and also samsonite, they do some fantastic luggage items and such fab quality!